The Jump Manual Review: Why The J.M May NOT Be Your Best Option In 2018! After a decade at the top, does the jump manual still dominate the vertical jump program market? In this Jump Manual review we will delve deep into the pros and cons of Jacob Hiller's best selling jump program. This 12 week system includes a hybrid plyometric and strength/power jump specific training program that has helped thousands of people successfully jump higher. 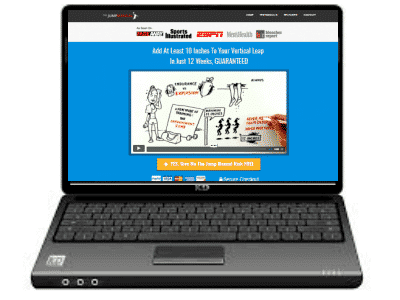 The Jump Manual has dominated the vertical jump training program market over the past decade, with hundreds of thousands of digital copies sold worldwide. For much of this time the Jump Manual was one of the only premium jump training systems available online. However, these days there are many quality interactive jump programs available including the Jump Manual's closest rival, the super popular Vert Shock (8/10) which currently dominates the jump training market (and for very good reason). 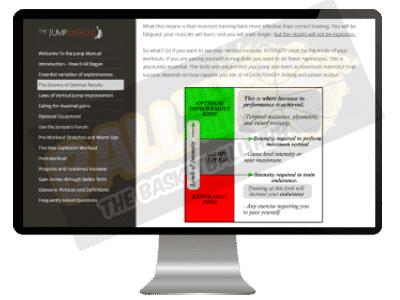 If you are considering purchasing this program we hope you find our following Jump Manual review and comparison helpful in allowing you to make an informed decision. What Is The Jump Manual? The Jump Manual is a 12 week vertical jump program designed to increase vertical jump height by around 9-15 inches. It consists of primarily of body-weight calisthenics and plyometric exercises + a holistic approach to becoming a better athlete . The program also comes with a number of free bonus gifts (learn more below). Expect to train 5-6x per week for around 45mins-1hr each time. Plyometric training, strength training, power training,, reactive training, nutrition advice, jump/dunk technique, recovery advice. 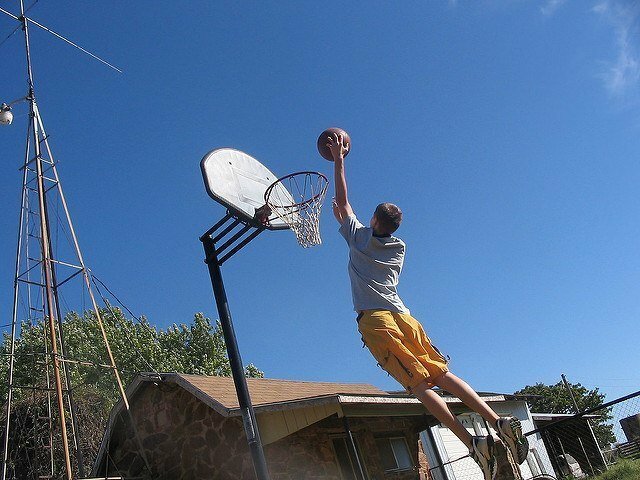 Increase vertical jump by around 10-12 inches in 12 weeks. Our thorough Jump Manual review provided some very interesting outcomes. Overall, The Jump Manual offers great value for money for a quality jump program that offers a holistic approach to jump training. Jacob Hiller does an excellent job at explaining every aspect of the vertical jump training process. It is easy to see why athletes around the world have obtained significant increases in their vertical jump height by following Jacob Hiller's long time best selling (and recently updated) vertical jump program. The Jump Manual continues to set the standard for vertical jump programs. With over 10 years of development this program is hard to fault. However the program does feel very outdated when compared to, in our opinion the best jump program on the market Vert Shock. Overall The Jump manual provides a nice combination of plyometric and strength based jump exercises at a great price. Our Jump Manual Purchasing Experience? 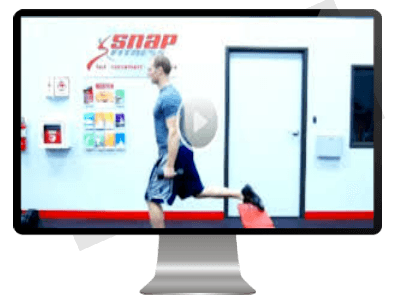 What Exactly Is Included in the Jump Manual Program? Who Created The Jump Manual? Is The Jump Manual Safe For Kids? Is The Jump Manual Easy To Use? How Does The Jump Manual Work? Is The Jump Manual A Scam? Check out some of these inspirational real world testimonials of athletes who have had success with The Jump Manual. As you will see it is not uncommon to add a few inches to your jump in only a number of weeks. If you want to increase your jump height in the hopes of throwing down your first dunk then The Jump Manual is well worth considering. In fact, Jacob Hiller author of The Jump Manual claims that his methods can increase your vertical jump by 10-12 inches. We understand that 10-12 inch gains in jump height over a couple of months may seem too good to be true. Before we embarked on our huge Jump Manual review we too were skeptical about these exciting claims. We have had experience with other jump programs in the past that make outlandish claims coupled with a program that simply fails to deliver. In contrast to many of the sub-par jump programs out there, The Jump Manual is a world renown training system which has featured on ESPN and Mens Health magazine. After learning a little more about the history of The Jump Manual we felt confident that this best selling program would deliver results. 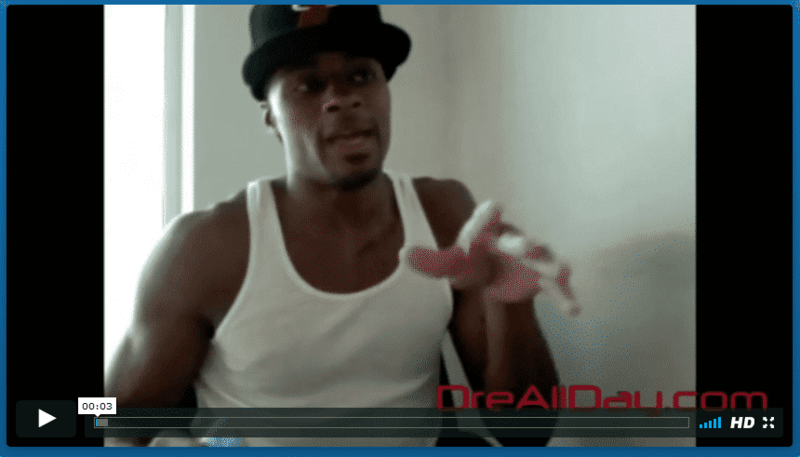 Before purchasing the program we came across a video of jump manual testimonials that got us fired up to try the program. You can watch this video at ﻿the official site﻿. The purchasing process is simple to follow and secure. There are a few add-on options which are pretty cool. However, in this Jump Manual review we are just going to stick to reviewing the core Jump Manual program. Important: Be aware of fake online downloads of The Jump Manual. 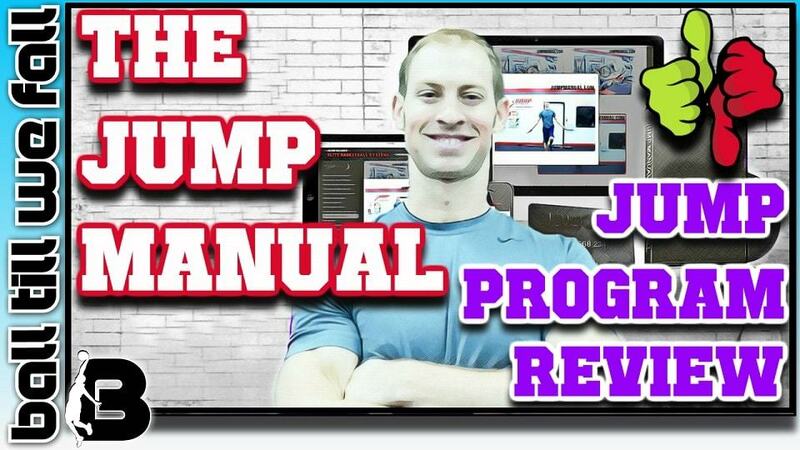 We always recommend that you purchase this program from the official Jump Manual Website to ensure you get the entire program, resources, bonus gifts and add-ons included in the system. When first opening up The Jump Manual program it becomes apparent that this is a professionally designed, yet somewhat outdated system. In order to get the most out of this program it is important to follow the linear sequence of the program. It is tempting to jump ahead, but trust us, the sequence that Jacob Hiller has designed needs to be followed in order. Jacob Hiller has created some interesting and informative high quality videos that make it easy for those of us who get bored with reading. Your Jump Manual program includes a nice mix of written and video content. Research has shown that heavy resistance training combined with vertical jump training is a well-established training method to maximise jump height. This fact forms the basis of the Jump Manual. The Jump Manual Will Show You How To Jump Higher.. You Will Have To Do The Hard Work! Take your time to read through all of the information provided in this section. It is a very interesting read and is coupled with some very helpful explainer videos and demo exercises. Jacob Hiller shows you exactly how to recruit and train all muscles involved in the vertical jump. In this section of the Jump Manual Jacob Hiller justifies his jump training methodology by explaining the science behind his jump training protocols. He makes this an enjoyable read, even for those of us who are not scientific minded. Regardless of your level of experience you will get something out of this section. Trust us. It helps to understand the "why" behind what you will be doing in the gym. Remember, it is not the only the type of exercises that are important, but how you do them, when you do them and how often you do them. 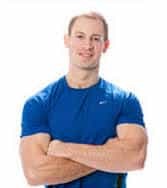 Having an expert like Jacob Hiller create a periodised program for you is one of the many benefits of purchasing a "done for you" program like The Jump Manual. Sure you could just watch random YouTube videos of jump exercises, but the true value of jump programs like The Jump Manual come in the fact that the entire program is laid out in a easy to follow "foolproof" manner. Jacob Hiller provides the blueprint to not only becoming a better jumper but also a stronger, faster and more explosive athlete. He covers important topics such as how to optimise rest, recovery and nutrition over the course of the program. Of course the main objective of the Jump Manual program is to show you the exact exercises required to boost your fast twitch muscle fiber activation, and the elastic properties of the muscles and tendons. However, a nice side effect of the Jump Manual is that you may also lean out and pack on some serious lean muscle and become an all-round stronger and more dominant baller. 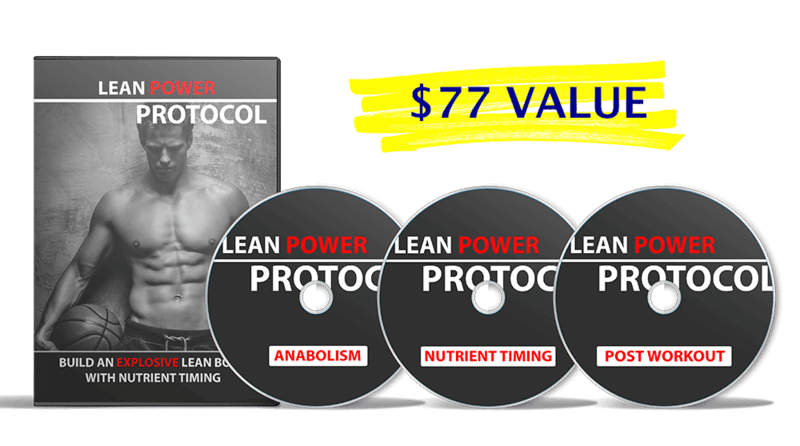 The Lean Power Protocol is Thrown in With The Jump Manual For Free! Throughout the program Jacob Hiller emphasizes that when undertaking the program every exercise must be performed with MAXIMAL EFFORT. This is an absolute necessity. If you want to get more explosive you have to train more explosive. 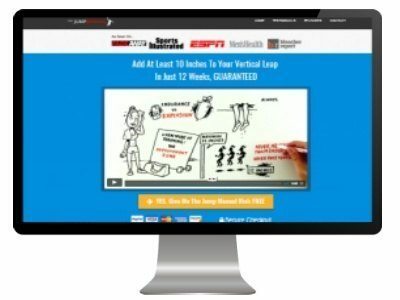 Take a look at the video link below to watch a great explainer video that outlines exactly how the Jump Manual can help you jump around 12 inches higher in a matter of weeks. During our Jump Manual review we were very impressed by the information that Jacob Hiller shares regarding how to optimize jump technique. This is an often overlooked aspect of many jump programs. Jacob Hiller explains how to co-ordinate the muscles of the body to get maximal jump height. 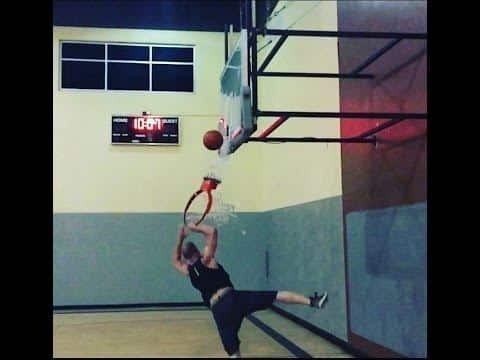 We love his tips on dunking the basketball. If you are only a few inches away from dunking these tips just may give you that extra edge you need to throw down your first dunk. This 12 week program is split up into distinct 2 week cycles, with each cycle having a specific purpose. The program consists of 4 workouts per week for the majority of the 12 week duration. The program is easy to follow and understand unlike some horrid jump programs we have tried in the past. Jacob Hiller first helps you build a base of stability around the muscles and joints that will be later utilized in the upcoming weeks. Once a foundation has been established the Jump Manual Focuses on developing absolute strength and reactivenss by incorporating a range of plyometric and strength based exercises. Over time the load increases as does the demand placed on the tendons through exercises such as depth jumps and bounds. Jacob does a great job of writing up an effective co-current weight lifting and plyometric exercise regime. We don't think that this part of the program is as well though out as the Vert Shock resistance training add on (Read our Vert Shock review to learn more about the jump program we have currently rated #1). However, this component is included within the Jump Manual price as opposed to Vert Shock in which you will have to pay an additional fee. Hundreds of satisfied athletes around the world are leaving feedback about their experience with this exciting jump program. >>> Check out some of their stories on this page. The Jump Manual program was created by professional jump trainer and strength and conditioning coach Jacob Hiller. He created the original version of The Jump Manual over a decade ago and has continued to develop the program every year since it's humble beginnings. After investigating the history of this program for our Jump Manual review we were impressed to see that the quality and quantity of content included has increased dramatically since the first version. The price however has remained very affordable, particularly if you manage to pick it up at the discounted rate. "If you want to jump higher the Jump Manual will help you achieve your goals"
Jacob Hiller has trained olympic and NBA athletes. Now you can get access to his pro secrets for a very affordable price. He is well spoken and describes the exercises in a clear and concise manner throughout the instructional videos included. We really like the fact that Jacob Hiller has trained himself to obtaining a 40+ inch vertical jump of his own. A lot of these vertical jump program creators talk it up but, but Jacob Hiller actually leads by example. Check out his amazing vertical in the video link below. We are not really sure if The Jump Manual is safe for kids as it doesn't really mention anything in the program. Weight lifting in children is obviously a controversial topic that can have potential negative consequences. Adam Folker's jump program on the other hand has been proven to be safe for kids. 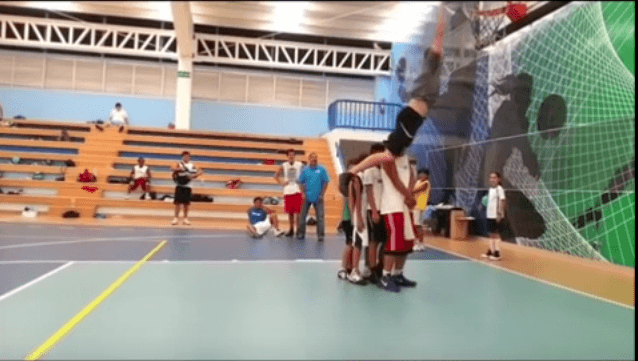 In fact, the creators have gone as far to say that this program can be very beneficial to young athletes beyond the realms of vertical jumping. The Jump Manual is easy to follow however it does require a lot of physical effort to complete the full 12 weeks. The​ workouts are very enjoyable and challenging enough to keep you interested and engaged for the full 12 weeks. Once purchased, you will have online access which is means you can open the program up on any smart phone, pc or tablet. It is definitely worth the $129 (Currently reduced to only $67>> ﻿Get Best Price HERE﻿). The Jump Manual incorporates a range of strength and power based exercises to reprogram your nuero-musculature system to jump higher. We believe that in order to get the best results with the Jump Manual you will need to have access to the gym or weights. Jacob Hiller does offer body weight exercise alternatives but if you are after a body weight only jump program I would just purchase Vert Shock. Be prepared to do heavy squats, lunges and deadlifts plus a range of other fancy jump specific exercises. Those exercises mentioned above are just a few of the many exercises in the program, designed to increase your vertical jump. Like any quality jump program, the value not only lies in the exercises included, but the specific prescription of exercises. Jacob Hiller's vast jump training experience shines through in The Jump Manual. 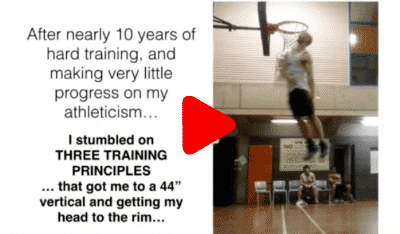 It is the perfect option for both beginner and advance athletes to learn how to jump higher. For some reason some people think that this program is a scam. We are not really too sure about what they mean by this, but we have been asked this numerous times. This is a value packed program that is worth every cent and more. Sure it does make bold claims of gains of around 12 inches. And perhaps it is the people who don't make a 12 inch gain that are calling it a scam. However, as we said this program is not easy. to get true results you must put in effort day after day for a few months. Only then will you reap the rewards. This is not a program for the faint hearted. Many people have succeeded on this program, there is no reason why you can't be next. 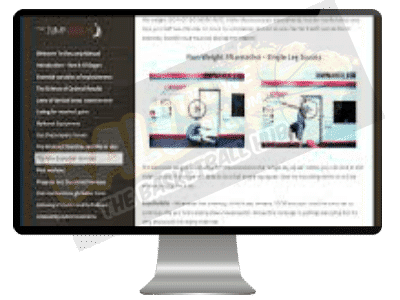 Overall the Jump Manual is not a scam, but rather one of the most professionally designed jump programs available online. The Jump Manual has been the best selling jump program over the past decade and it is easy to see why. The system is easy to follow and incorporates everything you need to maximise your vertical jump height. However, we must admit that the Jump Manual has seen strong competition over the last few years, particularly from Adam Folker's Vert Shock program. Vert Shock is a little more expensive than the Jump Manual if you want access to the weightlifting component (they call it the complex training system-read more about it here). The standard Vert Shock package is solely bodyweight based "shock" exercises which we think are better suited to athletes who want to boost their jump height while in their sporting season. In this case, if you are currently playing I would suggest Vert Shock. The off-season is when you want to start the jump enhancing weight lifting exercises that are incorporated in The Jump Manual or Vert Shock Pro. We think that the complete Vert Shock package is the premium option for those that can afford it, but The Jump Manual still offers great value for money. Wh﻿﻿﻿ich﻿﻿ ever jump program you choose always be aware that when undertaking this type of resistance based jump training you will experience muscle soreness which may affect in game or training performance. 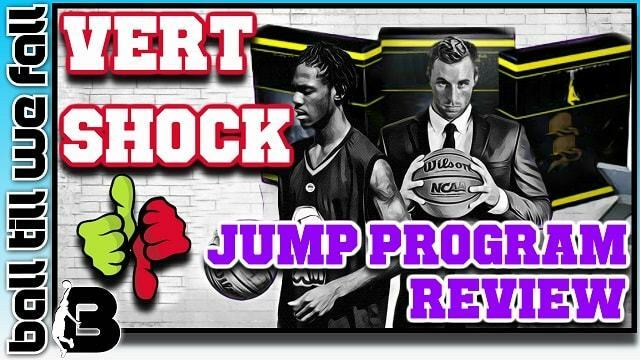 We Ranked Vert Shock Slightly Higher Than The Jump Manual. Be Sure To Checkout Our Vert Shock Review To Learn More. Is The Jump Manual Still The Best program? Overall the Jump Manual is a comprehensive program that cover's all aspects of the jump training process. The Jump Manual will show you how to train smart and recover right to get the greatest vertical jump gains possible. We also love the fact that you get access to the jumpers forum so you can log in and chat with like minded individuals on the same journey. We hope you have found this Jump Manual review helpful. if you have any questions about this program or would like to share your J.M story please comment below. 1) Tricoli Et Al. (2005). SHORT-TERM EFFECTS ON LOWER-BODY FUNCTIONAL POWER DEVELOPMENT: WEIGHTLIFTING VS.VERTICAL JUMP TRAINING PROGRAMS. Journal of Strength and Conditioning Research .NSCA. 2) Myer D Et Al. (2009). Youth Versus Adult “Weightlifting” Injuries Presenting to United States Emergency Rooms: Accidental Versus Nonaccidental Injury Mechanisms. Journal of Strength and Conditioning Research .NSCA.